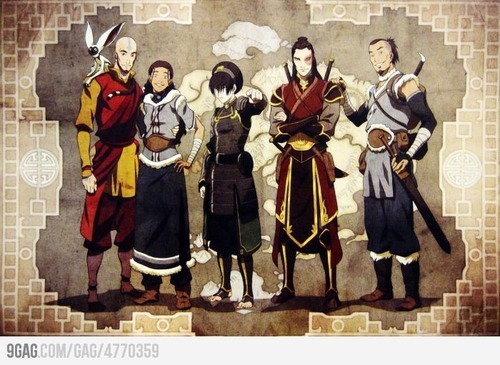 The Gaang. . Wallpaper and background images in the Avatar: The Last Airbender club tagged: avatar the last airbender aang katara toph sokka zuko. This Avatar: The Last Airbender fan art contains músico de banda, bandasman, and bandsman. There might also be surcoat, sobretudo, lippizan, lipizzan, lippizaner, instrumento de percussão, and instrumento percussivo.